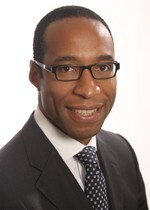 Charles Nduka is CEO and Director of Research Strategy. He is a consultant plastic and reconstructive surgeon at the Queen Victoria Hospital in East Grinstead, specialising in facial and breast reconstruction. He has over 20 years experience in research and has published over 100 peer-reviewed papers, articles, book chapters and monographs. Charles is an Honorary Lecturer in the Department of Bio-surgery and Surgical Technology of Imperial College, London. He has had 6 full-time research fellows successfully undertake higher degrees under his supervision. He has a long track record of undertaking collaborative research, having been a co-investigator in clinical trials including with Glaxo-Wellcome and Valeant pharmaceuticals. His main research areas of interest are objective evaluation of the effects of surgical interventions, scarring, facial aesthetics and facial reanimation. Alexis Thomas is a plastic surgical trainee and is undertaking a full-time PhD in facial palsy assessment and rehabilitation. She graduated from University of St Andrews (BSc) and then completed her medical training at the University of Manchester (MBChB) in 2008. Having undertaken academic foundation training in Manchester, she then moved to London to complete her core surgical training. She is currently conducting research into facial surface electromyography (sEMG) and the evaluation of facial expressions, alongside completing a phase 2 clinical trial of a scarring treatment. Dr Bav Shergill is a consultant dermatologist at Queen Victoria Hospital, East Grinstead and Brighton General Hospital. Dr Shergill’s specialist area of interest is the treatment of skin cancer and he is the lead clinician for the Sussex Specialist Skin Cancer Multidisciplinary Team. His areas of interest are skin surgery and laser treatments. He also treats general dermatology skin problems such as eczema, acne and rashes. He has a particular interest in the management of acne and acne scarring. He graduated from Guy’s and St Thomas’s Hospital, London in 1996. His specialist dermatology training took place across London, including The Royal Free Hospital and The Royal London Hospital. He then undertook a training fellowship in Mohs Micrographic Surgery, Dermatological Surgery and lasers at the world-renowned St John’s Institute of Dermatology. He has recently presented scientific papers at National and European meetings. He is a media spokesperson for the British Association of Dermatologists and is often asked to provide expert comment on new developments in dermatology by the BBC, The Daily Mail and other news outlets. Head Office: McIndoe Surgical Centre, Holtye Rd, West Sussex RH19 3EB, UK . Aesthetic Research Group LLP. Company Registration Number OC356874.